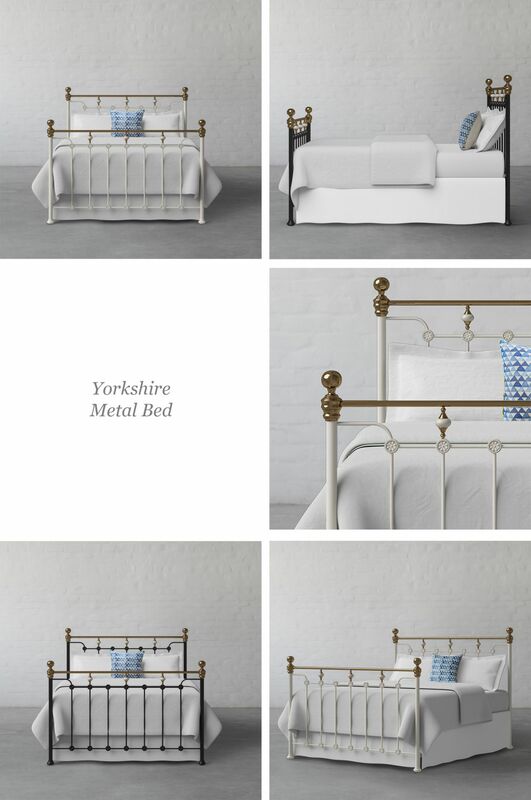 Unveiling our treasured Metal Beds Collection. 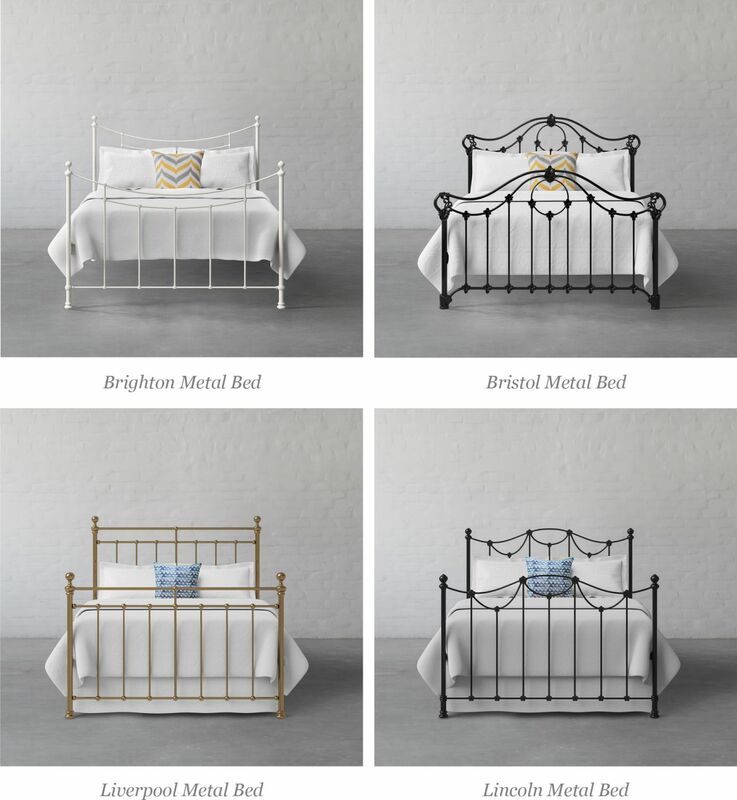 Our all new Metal Beds collection blends perfectly with modern and minimalist style bedroom or you can also use them to create classic looks for your bedroom. A classic metal bed design with traditional curves and finial detailing at the corners, our Newcastle metal Bed is finished in wooden slatted base that will keep your mattress in the best of condition. Bring home this elegant bed and instantly bring in Art Nouveau vibes to your spaces. Drawing inspiration from industrial designs of the early 20th century, this design celebrates the art of wrought iron metal. 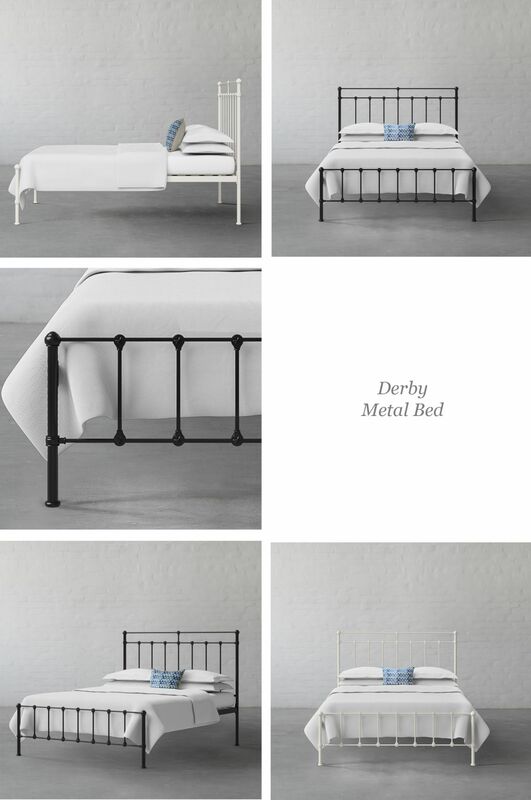 With simple clean lines and a stylishly designed headboard and footboard, our Derby Metal Bed is ideal for any modern space. The low height footboard allows the bed to be accessed from additional third side, adding seating convenience. 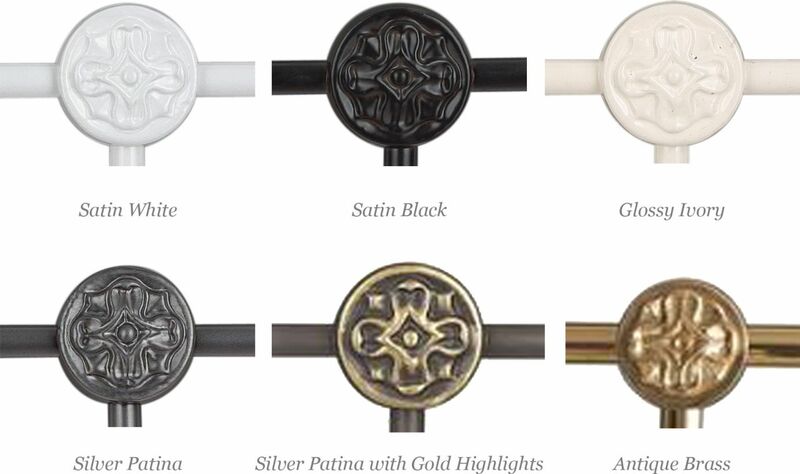 Iron furniture became popular during the 19th century, as metal-working advanced and artisans deployed revival-style curves in their projects. The wrought iron garden furniture in UK inspires the look of this partially ornate metal bed. The detailed headboard and footboard embellished with intricately designed finials make our Yorkshire Metal Bed a perfect antique addition to your interior spaces. 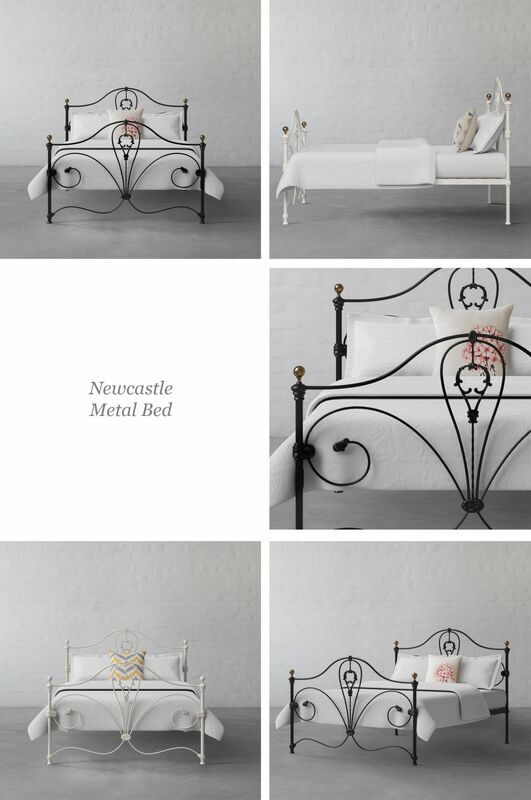 A perfect combination of comfort and beauty, bring home our metal bed designs in 5 sizes and finish options.